In a remote corner of the world, forgotten for nearly three thousand years, lived an enclave of Kurdish Jews so isolated that they still spoke Aramaic, the language of Jesus. Mostly illiterate, they were self-made mystics and gifted storytellers and humble peddlers who dwelt in harmony with their Muslim and Christian neighbors in the mountains of northern Iraq. To these descendants of the Lost Tribes of Israel, Yona Sabar was born. Yona's son Ariel grew up in Los Angeles, where Yona had become an esteemed professor, dedicating his career to preserving his people's traditions. 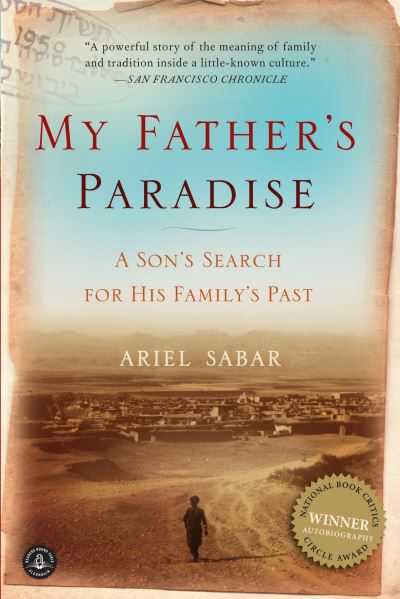 Ariel wanted nothing to do with his father's strange immigrant heritage - until he had a son of his own. 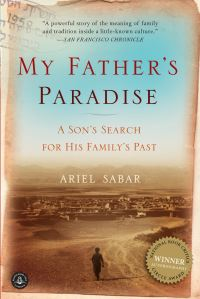 Ariel Sabar brings to life the ancient town of Zakho, discovering his family's place in the sweeping saga of Middle-Eastern history. This powerful book is an improbable story of tolerance and hope set in what today is the very center of the world's attention.